Here is the recipe for rice krispie treats with step-by-step visual pictures to support individuals that have difficulty with reading. Great for teaching life skills. Perfect for life skills classes! 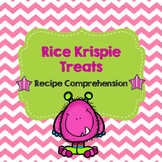 Includes Recipe to make Rice Krispies Treats Very visual! Includes 12 questions to go with the recipe. The cards read, "Numbers, numbers everywhere! Check your work to show you care! Work slowly, carefully, and be neat but first crunch on a Rice Krispies Treat!" and I attached them to individually wrapped Rice Krispies Treats! They were designed to be printed on a standard 10-per sheet business card. Rice Krispies Treats Recipe and Questions. 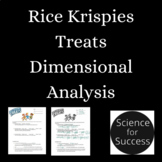 This worksheet includes a recipe for Rice Krispies Treats with comprehension questions. 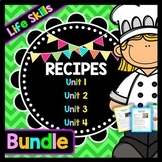 A fun way for students to practice cooking skills and understanding basic recipes. Great for Special Education, Life Skills, and Elementary. This worksheet has been tested by my high school Life Skills students. 1 visual recipe from my Cooking With Core Bundle! This is a worksheet to help middle school students develop an understanding of converting units of measure using a variety of marshmallows. 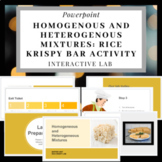 Use this visual recipe to make rice krispy treats in your classroom!